The number of Americans living with Alzheimer’s disease is on the rise, as are the associated costs. A doctor outlines five ways to prevent memory loss and improve your brain's function. WASHINGTON — The number of Americans living with Alzheimer’s disease is on the rise. Currently, more than 5 million Americans have it, and by 2050, that number is expected to reach 16 million, costing the nation an estimated $1.1 trillion in related expenses, the Alzheimer’s Association reports. There is no cure for this form of dementia that stands as the sixth leading cause of death in the U.S. — at least not in pill form. But Dr. Steven Masley, a physician and affiliate clinical associate professor at the University of South Florida, said there are ways to prevent memory loss and improve cognitive function as we age. He explained that insulin is the hormone in charge of signaling to our cells to store energy from the food we eat. When the cells grow full, they become resistant to insulin’s message and brain cells are no longer able to bring energy to the cell to be stored. “While your cells grow fat, your brain shuts down. We literally turn off our brain when blood sugar levels in the brain are high. It shuts off and we don’t use energy, and the brain cells aren’t just dysfunctional, they start to die,” said Masley, adding that 50 percent of all baby boomers and 30 percent of all adults are insulin resistant. Diet and exercise play an important role in reducing one’s risk for developing insulin resistance, and both are key components to Masley’s five-step program. Combined with managing stress, avoiding toxins and adding in nutrients, Masley found patients to improve brain function by 25 to 30 percent. “Their brain literally gets faster, quicker, they’re more productive, and we’re helping prevent memory loss,” he said. A diet full of refined sugars and artificial ingredients won’t do your brain any favors. Masley said food is “really the essence of the good decisions we make.” Choose foods loaded with pigments, such as berries, cherries and green, leafy vegetables. “If you eat 1 cup of green leafies a day, your brain is 11 years younger than someone who doesn’t eat them,” Masley said. Dark chocolate, tea, wine and coffee — all in moderation — are also proven to help, as are foods that Masley calls “smart fats” (nuts, avocados and fish). “I think the data is very strong, conclusive in fact, that a smart-fat diet is better than a low-fat diet,” he said. The number one predictor of improving brain performance and speed? According to Masley, it’s fitness. Interestingly, it’s not the number of minutes you spend on a treadmill or in a yoga class that matters — it’s your overall aerobic performance. Strength training and muscle fitness is another important component. “Even 80-year-olds have been shown to increase the memory-center size of the brain by adding an exercise routine,” Masley said. Not all stress is bad. In fact, Masley said a certain amount is a good thing. He explained stress that’s not managed leads to high cortisol levels, and if those levels remain elevated for an extended time, you lose muscle mass, bone mass and the brain shrinks. Both exercise and sleep help to keep stress level low, and so does meditation. Adding a few essential nutrients into your daily routine can make a noticeable difference in your ability to focus and think clearly, Masley said. One such nutrient is vitamin D.
“For 100,000 years we got it from sunlight, but almost nobody runs around naked all day long in the sun anymore,” said Masley, who recommends taking 2,000 international units a day via a supplement. 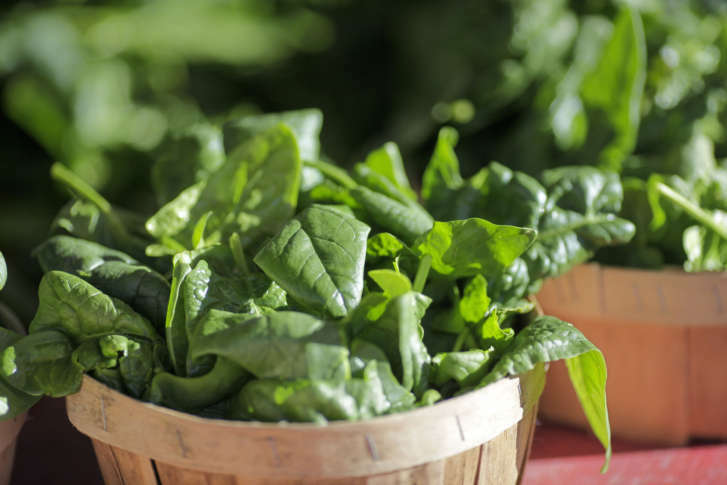 Magnesium can be found in nuts, seeds and green, leafy vegetables, but Masley said 70 percent of people don’t get enough of it. Probiotics and B vitamins are two others he recommends. Toxins such as tobacco, nitrosamines (chemicals used in processed meats), pesticides and mercury are on Masley’s list of substances to avoid. And while one to two servings of red wine can help protect the brain, excessive alcohol use will damage it. If you’re concerned about your brain, Masley said don’t wait until you start to notice a decline before you do something about it. “It’s never too early to start and it’s never too late,” he said.